The Carleton MA in Public History is an innovative program designed to equip historians with an enhanced awareness of the specific challenges of applying historical knowledge and methodologies in the public sphere. A critical component is engagement with the field of public history and the work of public historians. Many courses involve collaborative projects with community partners. A collaborative specialization in Digital Humanities is also available. Faculty members work closely with history institutions, groups and activists in the region. Challenging yet flexible, the curriculum combines graduate courses in history with specialized courses that explore the practice and theory of public history. Paid internships are available in the summer between first and second year (subject to availability). Students hone their research, analytical and presentation skills through a major research project. The program has ready access to the capital’s national cultural resources—museums, archives, historic sites and monuments—as well as local historical resources of the province. The National Capital Region is a wonderful laboratory for studying public memory, digital history, archives, visual culture, local history, narrativity, oral history, commemoration, museums, performance, place, archives, social media and other faculty research interests. At the same time, course materials and student research projects are international in scope and situated within transnational comparative frameworks of Ontario and Quebec and the City of Ottawa. Internships and class projects often lead to career opportunities. 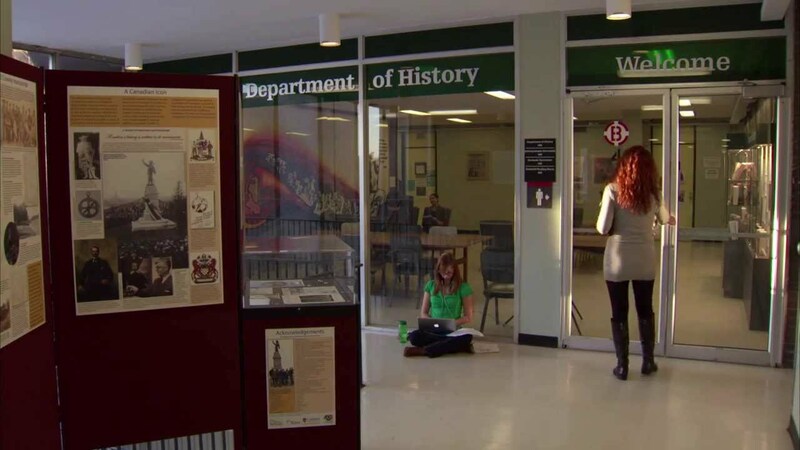 The Digital History and Carleton Workshop (DH@CWorks) is an ongoing platform for collaborative work in the field of Digital History and showcasing student-led projects.